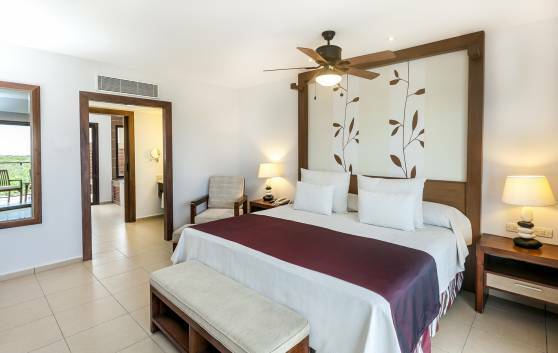 Our 50 Junior Suites The Level (62 m²) are very comfortable, spacious and functional. Located in 2-story bungalows with terrace and bench-sofa, garden or swimming pool view. Bath equipped with whirlpool and a small terrace with outdoor shower. To unwind, enjoy or simply dream, our 20 The Level Sea View Junior Suites measuring 62 m², are ideal. They are located on the ground floor of the two-storey bungalows. They have a terrace with a bench-sofa and views of the sea. They also have a water massage bathtub and a small terrace with an outdoor shower. Make your dreams come true by staying in any of our 30 wonderful Romance Junior Suite Sea View The Level. 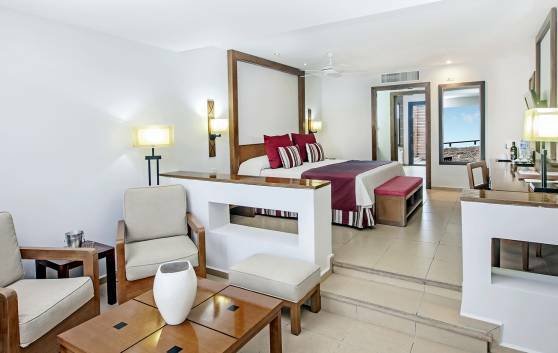 Each suite measures 62 m² and is extremely welcoming, spacious and comfortable. They are located on the upper storey of two-floor bungalows. They have terraces with a sofa-bench and views of the sea. They have a massage bathtub and a small bathing terrace with an outdoor shower. 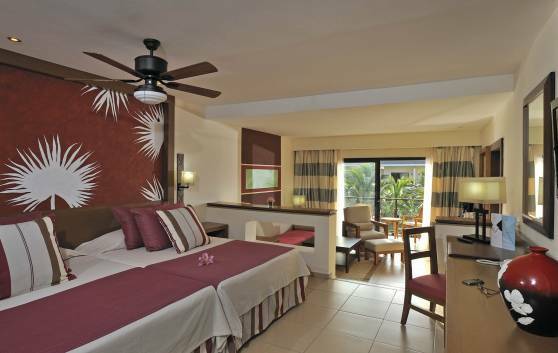 Our 2 Grand Suites Vista Mar The Level excel for their elegance, privacy and absolute comfort. 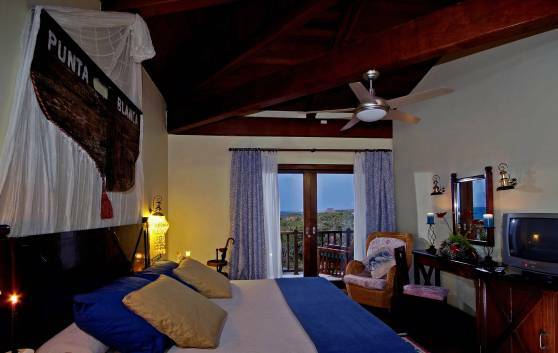 Located on the top floor of 2- story bungalows with ocean view. 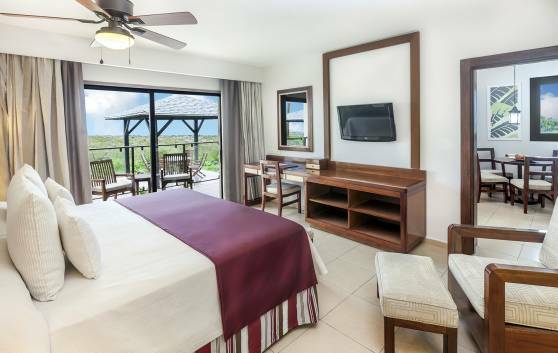 The rooms cover an area of 106.83 m² and are provided with 2 terraces with bench-sofa, Jacuzzi, terrace with outdoor shower and a privileged view of Punta Madruguilla. This unique villa is located in an area of absolute tranquility and privacy, covering 250 m². 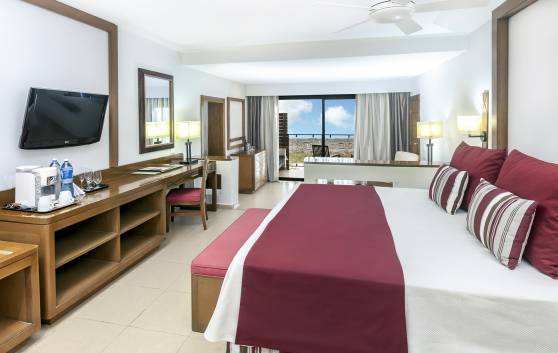 Comfortably furnished and elegantly decorated, inspired by the work of the Cuban artist whose name it bears. Chairs, sun loungers, lounge chairs and table in the balcony.